Alejandro Álvarez Cadilla studied scriptwriting with Oscar-nominee Pedro Loeb and is a graduate of The Oxford School of Drama. His first short film LE TRAC was personally selected by Edward James Olmos for the Los Angeles International Latino Film Festival. His second short film DEEP SLEEP won Best International Short Film at the London Independent Film Festival and had 33 official festival selections worldwide. His first feature documentary DISPORTRAIT, a co-production with ZDF/Arte and the Tribeca Film Institute, won the Golden Prague Grand Prix TV Award and was nominated for a Robert Award in Denmark. Canadian artist William Fisk has a once in a lifetime opportunity: to be represented by a renowned American gallery. 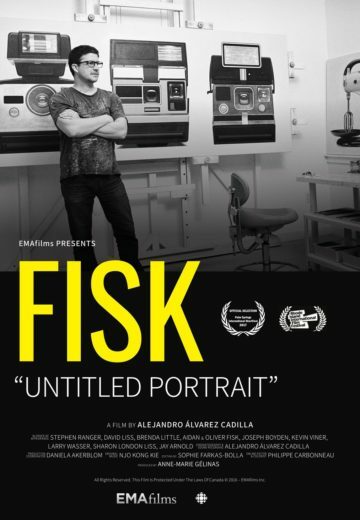 Having been let go by his Canadian dealer, Fisk has double-mortgaged his home, staking his family’s future and well-being on this gamble so that they can survive while he paints a new body of work for the American market. A successful sale will mean his career will reach a level he never imagined, but failure to interest the New York gallery’s collectors will mean ruin.